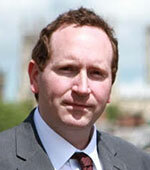 Damp squib as York Councillor allegations are published. After 2 years of agonising the York Council’s Chief Executive has finally published details of the claims of “misconduct” faced by the former Deputy Leader of the Authority; Cllr Keith Aspden. He was sacked as Deputy Leader in September 2017 by the then Tory Council Leader David Carr amidst dark allegations of “serious offences”. David Carr was himself subsequently sacked by the Tory Group. There had been claims in 2017 that Cllr Aspden had been responsible for leaking an audit report which looked into contract irregularities in 2014 when Labour were in control of the Council. It subsequently turned out that a paid official was responsible for that leak. That same official, when faced with the prospect of dismissal for his action, then muddied the water with a series of claims about Councillor and officer conduct at the Council. Most of the allegations were quickly disproven but two – concerning the appointment of a junior officer in 2015 – have remained unresolved. Cllr Aspden vigorously rejects the two remaining charges. It is this allegation that will be subject to a Standards Committee hearing on 3rd January. The hearing is being held in public and all the background reports have been published “on line” at the request of Cllr Aspden. The names of those involved have been redacted. It turns out that the issue is less “James Bond”, more “Coronation Street”. Why the Council should have spent nearly 2 years ponderously investigating the bogus claims, and in the process spent nearly £100,00 of taxpayers money on solicitors and investigators, may remain a mystery, whatever the outcome of the hearing. The substance of the complaint relates to the appointment of an assistant, for each of the 3 main party leaders, following a decision taken after the last Council elections in 2015. The authority also decided to centralised complaint handling and continued the employment of 3 “political researchers” who had been in post for over two decades. All in all, the decisions meant that Councillors enjoyed an unprecedented level of support. It was never clear precisely what the “Executive Assistants” would do. It was said that they would be non-political appointments. It is claimed that Keith Aspden sought to influence who might be appointed to the post that would work for him. He was understandably concerned that someone should be appointed who was discrete and sensitive to the political environment (the LibDems were working in a coalition with the Tories). The Labour and Tory Leaders made similar appointments. 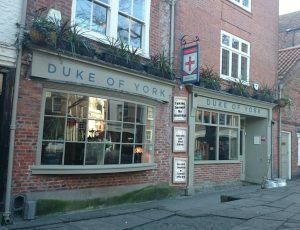 The claim being investigated is that copies of job application forms were made available when the merits of the candidates for the post were discussed between four people in a York pub in the summer of 2015. Keith Aspden apparently favoured the appointment of someone that he knew. The recollections of the 4 involved differ on what was said but an independent investigator has chosen to believe the word of the “whistle-blower” Hence a charge of bringing the Council into disrepute,. Hints of political patronage do leave a bad taste. When the York Unitary Council was formed in 1996 it fell under Labour control. Two of the new Directors, appointed to senior positions, were card carrying members of the Labour party. One was a former Labour Councillor. But those were senior roles and the Executive assistants have a much more mundane and low profile work remit. What happens next depends on the outcome of the hearing. If the case is found not to be proven, then those who have relentlessly – and at great expense to the taxpayer – harassed a hardworking Councillor, may themselves find that they are next into the public dock. NB. 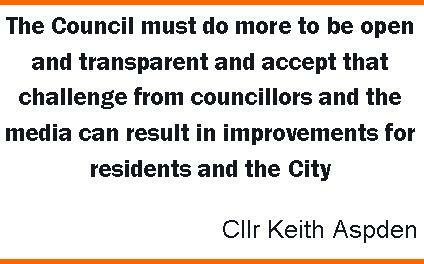 Cllr Ayre has had a complaint, about leaking information to the media, outstanding for over 18 months. Cllr Carr may also face the prospect of censure for actions when he was the Leader of the Council.